I've been pushing my wire jewelry-making agenda for a few decades now. I remember taking over an established jewelry class and trying to convince the students to give up headpins and use wire instead. I'll admit, they thought I was a little crazy. I was never able to convince them to stop using headpins, so one day I simply locked up all the headpins before they arrived for class. That's what led to my first "Day Without Headpins" workshop. 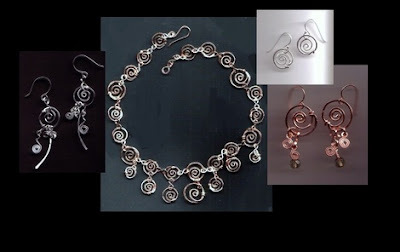 I loved making wire jewelry long before it was popular. So, of course, I got excited in recent years when I noticed that many of you were becoming wire people too. You're stepping away from bead-laden jewelry... and headpins. You're mastering wire-work. You're making wire diva creations with techniques so complicated it makes me dizzy. And it's beautiful. I love that so many makers are focusing on the power of wire. You're showing off a single bead or a few beads, or no beads at all; because really, wire is all you need. If you're at all like me and don't have the tolerance for daylong wire manipulation, I urge you to do what I do. I still twist, bend, and weave my wire. I just make mine free-form. I keep it simple. I make mine funky. If you've been following the crowd and want to break away, that's the perfect way to do it. I have an artist's heart, you see. It's always been important for me to create something that's different from everyone else. 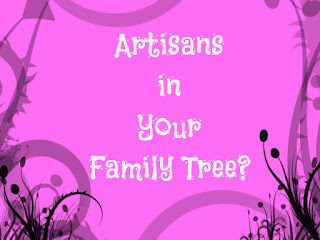 That was hard to do when I first began selling jewelry at art and craft shows. When I looked to others for inspiration, most of the jewelry-makers I saw out there were bead stackers. Bead Stackers!!! Now there's nothing inherently wrong with stacking beads on a head pin, dangling it from an ear wire, and calling it an earring. In fact, I did that when I was a teenager. As a grown-up with an artist's heart, I needed to do something a bit different. That's when wire inspired me to be different. If you're mastering the current jewelry-making trend, remember to keep your eyes open for the next trendy thing. 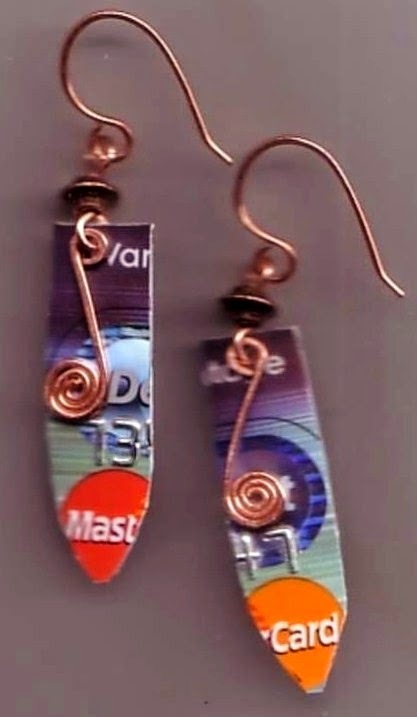 Or perhaps you can be the one who starts the next wire jewelry trend. Why not begin by making a conscious decision to get rid of beads. 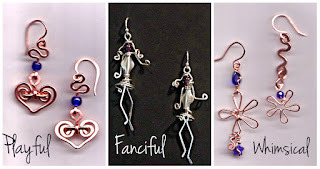 Try creating with wire alone; because, frankly, you don't need no stinkin' beads.